What could The Test mean? This has certainly been an interesting week for Steven Universe’s schedule. However there has been another update to the weekly schedule: Sunday, January 25, 2015 will see two big blocks in both the morning and the evening. Also, the good signs we observed on Monday have turned out to be accurate. 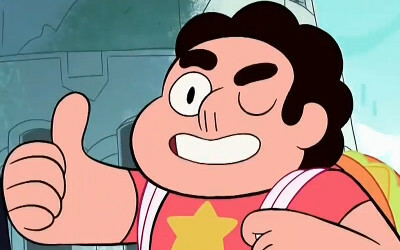 While the week of January 26-February 1 is still not scheduled to have any re-runs of Steven Universe, starting on February 2 all normal re-runs seem to be back in their old places in the schedule.